First of all you are going to need to check it out with a doctor to find out for sure. I cannot stress this enough. You would need to be tested for all allergies to see if you have any new ones, which you have not been tested for. 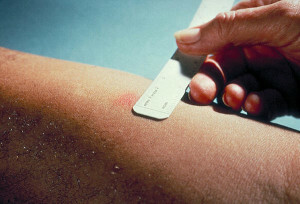 It would be important to get a skin test from your doctor to determine what allergies you have, you already know some, but you may have others you are not aware of. Of course your doctor will want to rule out that there is nothing else going on besides allergies and that is why you need to see your doctor and get tested. Allergy symptoms can range from mild, to moderate and then to severe. 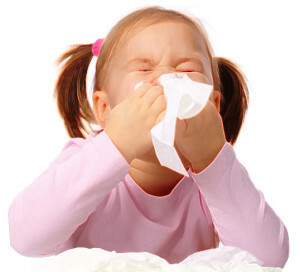 The mild allergy symptoms usually include: itchy and watery eyes, congestion and a rash. These allergy symptoms do not spread to different parts of the body. They stay in whatever location they started from. The moderate allergy symptoms can spread to other parts of the body and they include: difficulty breathing, which is localized, and itchiness, which can be felt all over the body. Severe allergy symptoms are called anaphylaxis and though anaphylaxis is rare, it is life threatening. This reaction to the allergen will come on suddenly and it will affect the whole body. You might begin with sudden watery eyes, or the eyes and face are itching and within minutes you are experiencing difficulty swallowing, you may have abdominal pain, cramping, vomiting, diarrhea, you may have mental confusion or dizziness. If this occurs call 911 and get to the hospital immediately for treatment. You have no time to waste. Your symptoms do not sound like seasonal allergies because the symptoms for that are mainly sneezing, watery eyes, watery type of nasal discharge, puffy eyes and fatigue. Hay fever is pretty mild compared to the symptoms you can have from some other allergies. Again with pet allergies, as you said you are allergic to cats, your body will fight the allergen, which in this case is cat dander by producing histamines (antibodies) and the symptoms would include: sudden itchy eyes, wheezy breathing, or even a rash. Again the mold allergy symptoms are similar to the above-mentioned symptoms. These symptoms include: wheezing, stuffy or runny nose, the usual itchy watery eyes, and a rash or hives. The normal reaction will be swelling and redness around the sting and it will be painful. A localized reaction means that the swelling will extend beyond the immediate site of the sting. For example, you may have been stung at the ankle and the whole leg is now swollen. Even that is looks serious, the swelling it is not, the swelling just covers more area than usual. In the serious category we have again the anaphylactic reactions which include: difficulty breathing, hives, swelling of the face, throat or mouth area, wheezing, or difficulty swallowing, a rapid pulse, restlessness and anxiety, and dizziness or a sharp drop in blood pressure. 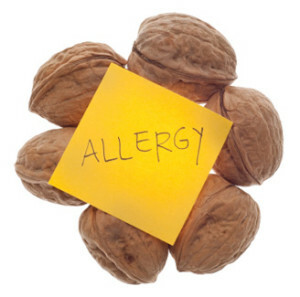 It is possible you might have a food allergy, the usual symptoms for food allergies include: itching in the mouth, difficulty swallowing, difficulty breathing, nausea, vomiting, diarrhea, and abdominal pain. You might also have asthma, which is also an allergy. Besides the regular symptoms, which are coughing, wheezing, shortness of breath, there is chest tightness, pain or pressure. You would also feel tired, or grouchy, and appear to have the signs of a cold, which you already experience with your other allergies. Jaw tightness does not seem to be a symptom of an allergy though it could be temporomandibular disorder, which is caused by muscle problems in the jaw, and it can also cause headaches. You may need to see your dentist for that.